These revised e-books are for all parents who want to help their child get ahead and enjoy reading and spelling. The idea for the e-book came from Izzy teaching a mother who took the material home to do with her child on a weekly basis. Within six months the mother’s child, who had had difficulty reading and spelling, had made an enormous amount of progress. Izzy realised that children could make great progress, with parental support, using her system of learning without the child ever attending lessons with her. The accompanying teaching video clips and the colour coding of the material are an essential part of the e-book, and vital for parents to help their child progress quickly and easily. The video clips can be watched by parents and children together, or just by parents and professionals. The first part of the Revived e-book demonstrates and teaches techniques How to become a super speller. How sky reading enables children remember words that they’ve just read when they see the words again on the following page. The e-book contains memory training games to play. Teaches how to de-stress, relax and remember what you’ve learnt and build self-esteem. How to change the “I can’t” into “I can” and the first part also includes low sugar and sugar free recipes for snacks for children so that they will be able to concentrate better during school day. 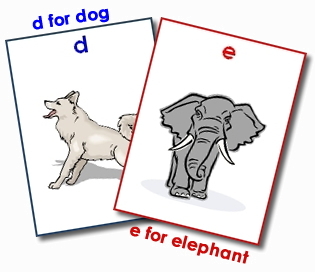 The second part of the first e-book teaches the alphabet sounds and the blends. The material is interactive, fun and uses card games to accelerate learning and memory training. The first part of the second e-book teaches you how to show your child how to write lower case letters. It progresses and teaches pre-comprehension skills, comprehension skills. It covers story writing, book reviews and thank you letters. Basic grammar is explained, aided by notes on a short poem. The second part of the second e-book teaches more advanced reading and spelling. The material is interactive and fun. It includes the long vowels such as a, as “ai” in Spain and “ay” as in play, it teaches vowel digraphs such as “oi” as in coin and “oi” as in boy. Silent or magic “e” are included, as are silent letters in words like whistle and words that sound the same and are spelt differently like “sale” and “sail”. The second part starts with the story of the town mouse with colouring sheets, card games, additional stories and a spelling list. The emphasis throughout both e-books is to equip parents to teach the skills that their children require to become good readers and spellers. The games and colouring sheets in both games sections need to be printed or photocopied onto card and cut out in order to use them and play the games. When parents regularly use the material in the second book, Izzy often sees children's reading age go up by one and a half years in a school term. One child quickly learnt and could recognise all the sounds in the story of the town mouse, and her reading age improved by two years in two weeks. Izzy intends to write two more books. One containing many fun recipes for healthy snacks for your child, including sugar-free, low-sugar, fat-free, gluten-free and dairy-free recipes. The second book will expand the spelling technique "How to become a super speller" so it can be used for learning other languages easily and will include techniques for learning History, Geography, Science and Maths. Revision techniques for tests and exams will also be included.